​Bordering Inner Mongolia and lying between the Tibetan and Huangtu Plains, Gansu Province was a significant part of the old Silk Road. Nowadays, its rich cultural, ethnic and geographic diversity provide the traveller with a wealth of awe-inspiring experiences. 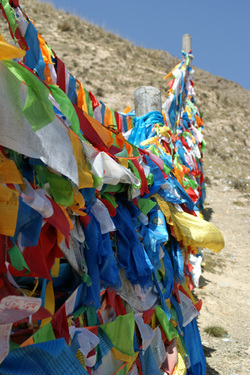 ​There are 14 regional airports within Gansu and access overland from other provinces is also easy. Once there, local transport is cheap and efficient and taxis and private cars are readily available for hire. Amenities and facilities outside of the main city of Lanzhou are basic and English is not widely spoken. Regardless of this, the locals are incredibly friendly and happy to try and converse with sign language and generous smiles. The climate from the north to the south of Gansu Province varies greatly because of its large latitudinal span. Northern Gansu is mostly dry with extreme variations of temperature between day and night whilst southern regions experience more rain and a less extreme variation in temperature. It is advisable to check regional climate trends before travelling to Gansu. ​We visited Gansu in 2015 with our children aged 11 and 14 after spending two weeks in the Shaanxi and Sichuan provinces. If you are not travelling overland from Sichuan province as we did, you can easily get a flight in to Tainshui airport in the south-east of the province and start your travels from there. ​​Click on the sample itinerary below to view a suggested family tour for this destination. This is based on our own travels but can be amended to suit differing ages, group sizes and duration. Accurate travel times, accommodation and guide details will be provided once your personalised itinerary is confirmed.